Andy Marshall’s focus on simplicity has led THD Electronics to award-winning recognition in the field of guitar amplification. THD amplifiers have attained a level of flexibility and quality no other manufacturer can reproduce. 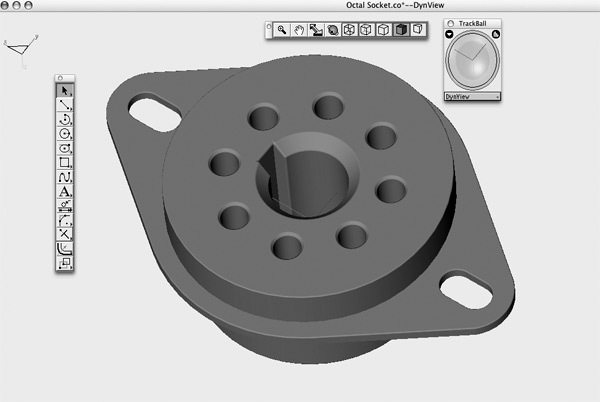 Cobalt™ 3D modeling software has significantly helped Andy as he designs with his musician customers in mind. 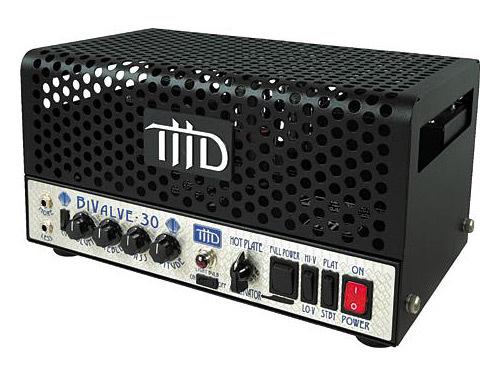 The THD line of amplifiers have drawn a world-wide fan base which includes well known musicians Eric Clapton, Peter Buck, Bob Dylan, Mark Knopfler, Jimmy Page, Ben Harper, and Eric Johnson, just to name a few. For over 19 years, Andy’s work has built a reputation for quality that enabled THD to initiate the American “boutique” amplifier market. As a result of his efforts in this market, Andy hears daily from guitarists who are pleased with the consistent quality in the 3- and 4-channel guitar amplifiers. All channels provide a distinctive sound—extremely important for recording artists and sound aficionados. With current projects in mind, Andy looks to Ashlar-Vellum’s Cobalt CAD and 3D modeling software to provide ease of use in design. Andy states that Cobalt has enabled him to catch errors early in the design phase. As our products grow more complex, Cobalt’s ability to show me what a product and its component parts will look like helps me to completely visualize the product and ’turn it over in my hands’ before we ever stamp a piece of metal or machine a piece of plastic or wood. Because of his years of experience in the music world, Andy designs with an artist’s ear and touch. His amplifiers have a distinctive sound, yet an uncommon ease of use. Andy can’t imagine “ever designing another product without Cobalt.” His experience with Cobalt has proven that this 3D modeling software substantially shortens his time-to-market. Overall he credits Ashlar-Vellum Cobalt with saving him “a stunning amount of time, money, and general grief.” Ashlar-Vellum is happy to be part of the THD success story and we look forward to being a part of THD’s growth in the future. See more of Andy’s work on his website. Providing a distinctive sound for their customers as well as an uncommon ease of use is something Andy has achieved through years of experience in the music industry. Now he has turned to Cobalt 3D modeling software to provide him with the same ease of use for his current design needs. 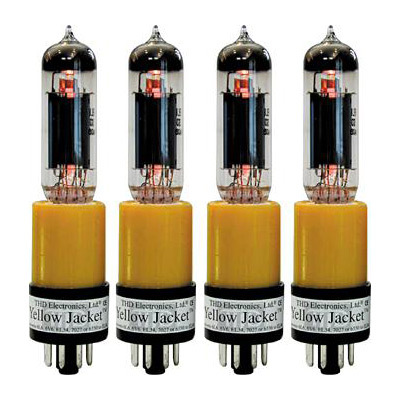 These Yellow Jacket converters allow for the use of different types of tubes within the same amplifier, one of many design innovations from THD. This Cobalt screen capture from THD Electronics, shows a 3D model of a phenolic octal relay socket that is essentially a copy of the old Amphenol tube socket from the’50s.